Easter is only a couple weeks away and I can’t wait because then were officially into Spring! With that said I’m already getting the decor started around my house. 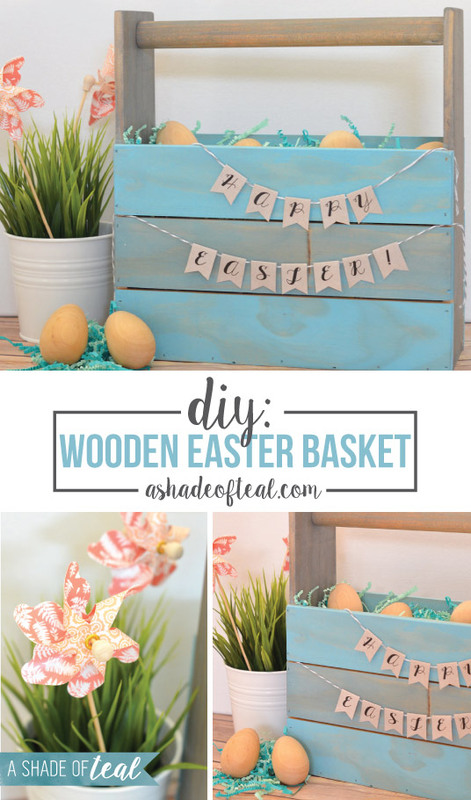 Since I love to build wood crates or boxes I thought it would be perfect to build a new wooden Easter basket. Of course you’ll need to fill the basket with some amazing treats, so off to Target I went and picked up some of my favorites. 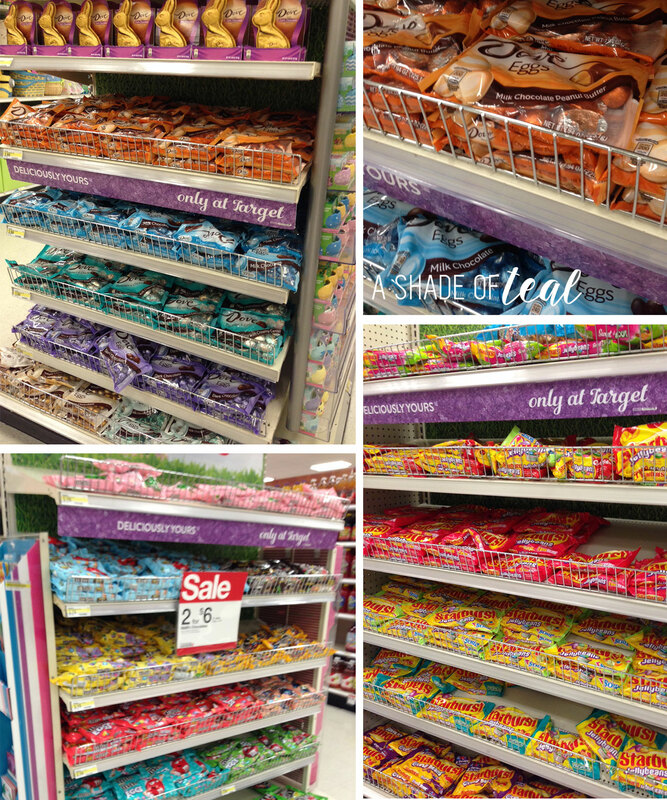 I always find myself in their seasonal aisles since they change all the time. I picked up Starburst Sweet & Sour Jellybeans, Easter DOVE Peanut Butter Eggs, Easter M&M’s in Milk Chocolate, and Starburst Jellybeans. 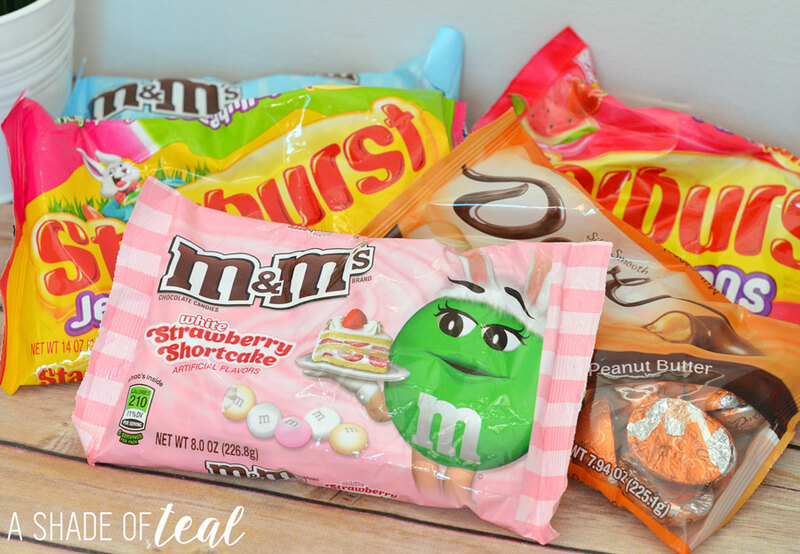 I also found a new flavor of M&M’s that I couldn’t pass up; Easter M&M’s White Strawberry Shortcake. These are only offered exclusively at Target for a limited time so go grab a bag, they’re delicious! Now that I have all the treats to fill that basket I guess we should build it! Here’s what you’ll need. First, you’ll need to make your cuts. 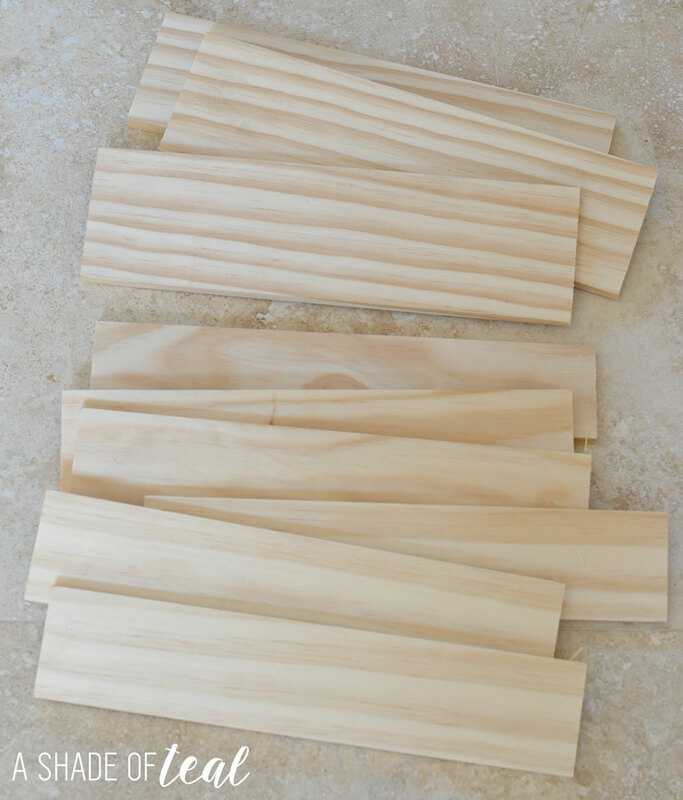 Cut the 2 pieces of 2.5” x 36” into 12″ strips. 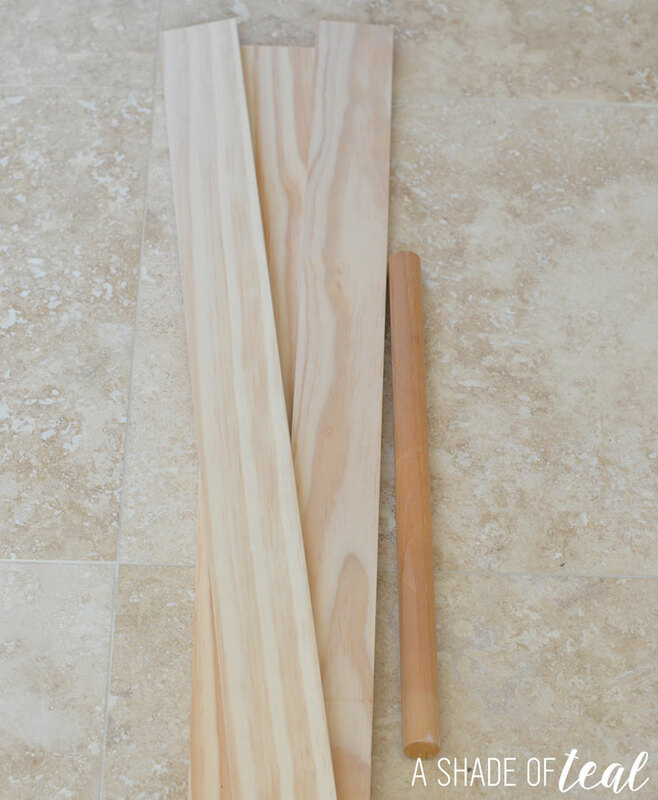 You’ll also need to cut the 3.5” x 36” wood piece into 12″ strips. Now you can start building. Start with the bottom, take a 3.5″ wide piece then attach a 2.5″ at the side like pictured. Then add the other 2 pieces of the 3.5″ to each side. Now, just start adding the 2.5″ pieces to each side, 3 per side. I spaced them by eye but you can use a coin to be more accurate. Now you’ll need to add the wooden dowel. I went with a 1″ thick piece because I had an extra scrap laying around. I waited till this point to cut it just in-case my box measurements were off. 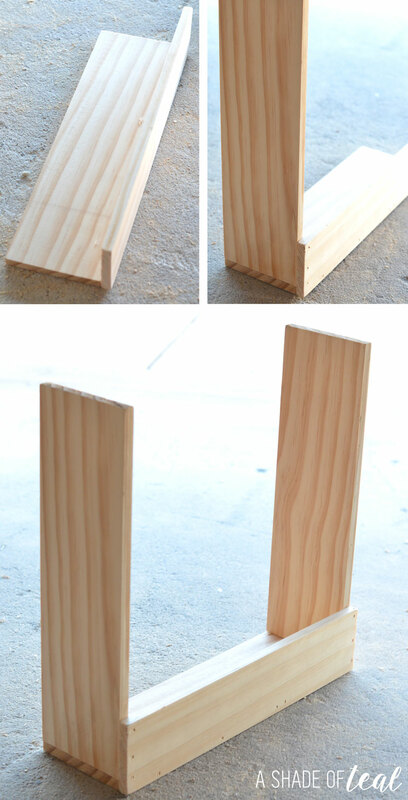 So, measure between the 2 sides and cut the dowel. To attach it I nailed it in place about 4 times to really secure it. After it was built I gave it a light sanding. I also sanded all the edges slightly round. 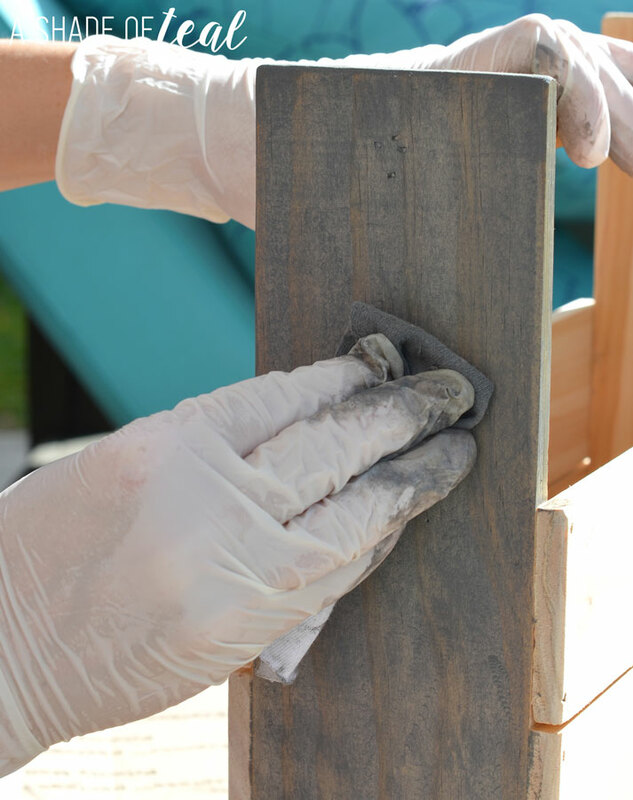 Next, grab your favorite stain or paint color. I used 2 stains; 1 in grey and 1 in aqua. Let everything dry for a couple hours before using. I prefer to allow 24 hours before I bring stained wood inside. Here’s the finished result. I gave the sides and handle the grey finish and the front/back the aqua finish. I also went over the middle piece of each front/back with a light coat of grey stain. I love how it turned out! 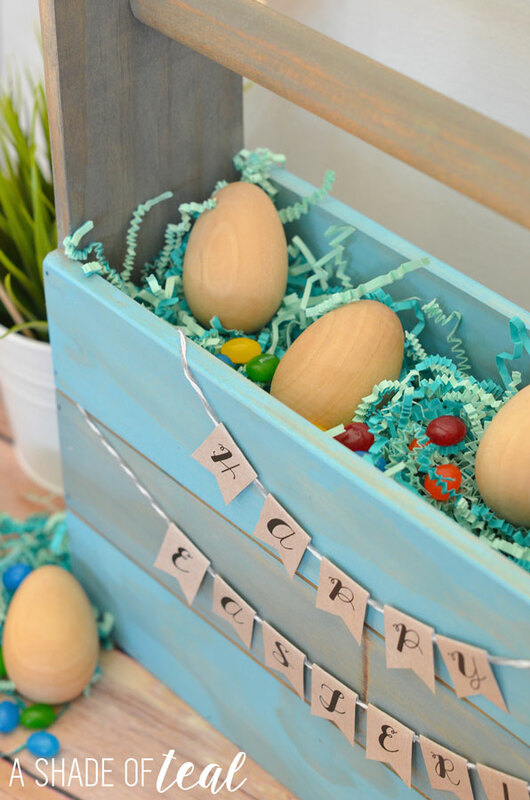 Now, just add all the amazing treats and your DIY Wooden Easter Basket is ready to go! I love my new Easter basket and all the treats inside it! Target Super Stores will be hosting a sampling event March 20th so go check it out. Have you started getting ready for Easter? 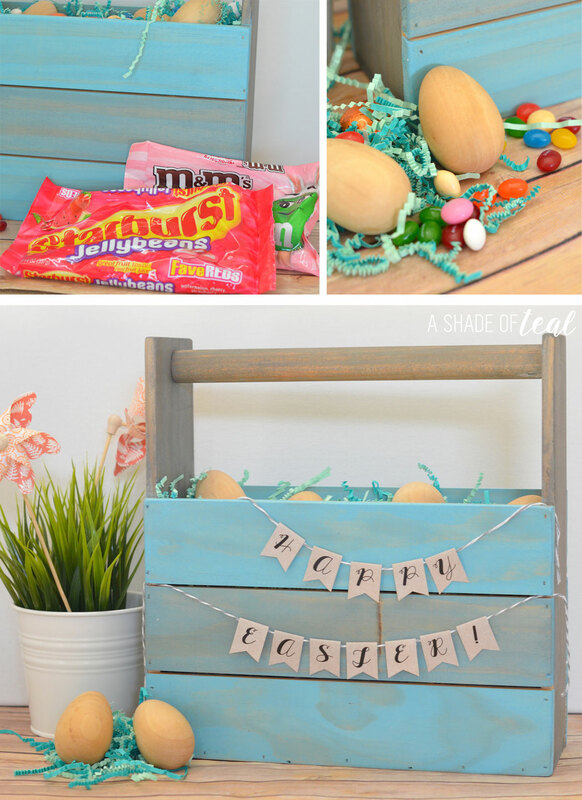 I love to hear your Easter decor ideas including unique basket ideas. Share away! What a great build! I love the bunting! 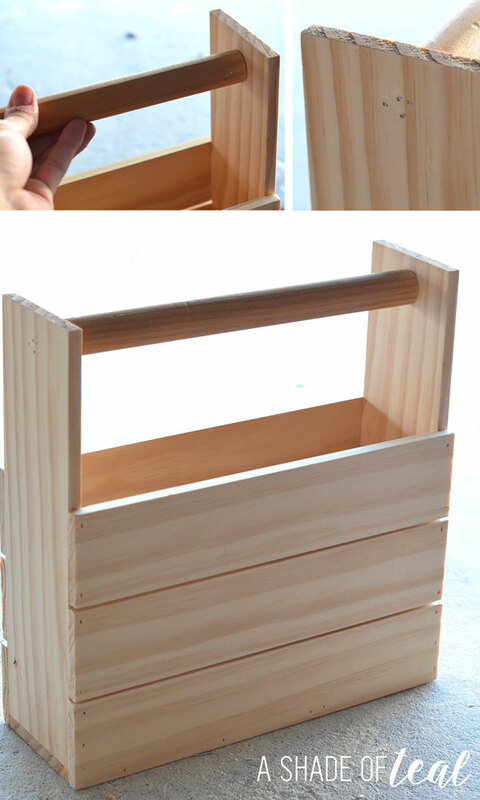 Love your DIY basket. 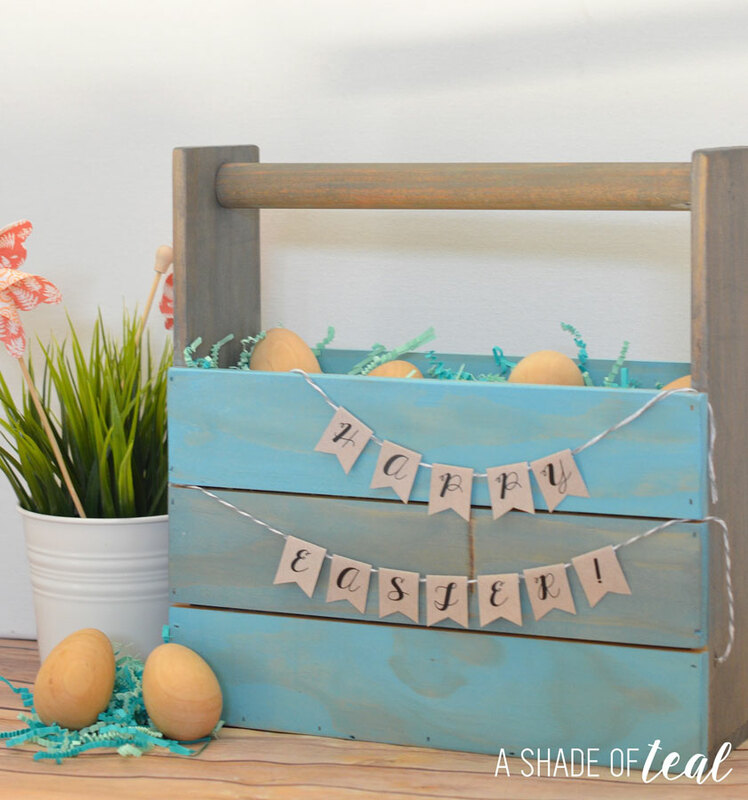 I have been looking for DIY easter projects to do with my daughter..and this may be the one.